LOS ANGELES – 28 September 2017 - The Internet Corporation for Assigned Names and Numbers (ICANN) has appointed Interisle Consulting Group, LLC to conduct an independent review of the Root Server System Advisory Committee (RSSAC). In addition to assessing the effectiveness of the improvements resulting from the previous review conducted in 2008, the purpose of this review is to determine whether the RSSAC has a continuing purpose in the ICANN structure and, if so, whether any change in structure or operations is desirable to improve its effectiveness. This review will also determine if the RSSAC is accountable to its constituencies, stakeholder groups, organizations, and other stakeholders, as mandated by ICANN Bylaws. The review is scheduled to commence immediately and will conclude in July 2018. 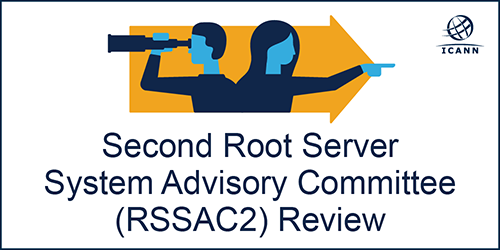 The RSSAC serves to advise the ICANN community and Board on matters relating to the operation, administration, security, and integrity of the Internet's Root Server System. Membership of the RSSAC is made up of representatives from the organizations responsible for operating global root name services. Representatives of the organizations responsible for the maintenance of the authoritative root zone also participate as non-voting members and additional non-voting members also participate from external organizations and groups. For more information, visit the RSSAC Review wiki page. For additional information about Interisle, visit their website. Visit the Organizational Reviews page at ICANN.org for a permanent file of essential milestones, outputs, and final deliverables. The RSSAC Organizational Review is mandated by ICANN Bylaws Section 4.4 "Periodic Review of ICANN Structure and Operations."